As Vice Chancellor for Graduate Studies and Dean of the Graduate Division of UCLA, Claudia Mitchell-Kernan served as the campus wide advocate for the advancement of graduate education for 21 years. During this period she worked to ensure that standards of excellence, fairness and equity were maintained across all graduate programs. Dr. Mitchell-Kernan made diversity and inclusion a hallmark of the Graduate Division establishing diversity fellowships for doctoral students and expanding diversity fellowships available to students enrolled in UCLA’s masters degree programs. As Vice Chancellor and Dean, she also had responsibility for overseeing the Institute of American Cultures and UCLA’s four ethnic study centers. Her administrative service also includes terms as Vice Chancellor for Academic Affairs and Interim Vice Chancellor for Student Affairs. Since stepping down from her position as Vice Chancellor in 2011, Dr. Mitchell-Kernan has served the campus as Vice President for Programs for the Faculty Women’s Association for two years and as President of the UCLA Faculty Center Association from 2014-2016. She is also currently a member of the Advisory Board of the Fielding Institute. Over the last decade, she has also been involved in higher education intervention projects in Rwanda and Ethiopia. Over the course of her career as an anthropologist, she has conducted research in Samoa, Belize, Jamaica, and the United States. Concurrent with her administrative responsibilities, she was a professor in the Departments of Anthropology and Psychiatry and Biobehavioral Sciences. She received her Ph.D. from the University of California, Berkeley and her B.A. and M.A. degrees from Indiana University. Before coming to UCLA in 1973, she was a member of the faculty at Harvard University. Much of Dr. Mitchell-Kernan’s early work was in the area of linguistic anthropology and her classic research in the late 1960s and early 1970s on the speech patterns of African Americans is widely cited to this day. Her most recent book, The Decline in Marriage Among African Americans, co-edited with M. Belinda Tucker, was published in 1995 by Russell Sage. Other books include such topics as children’s discourse, television and the socialization of ethnic minority children, and linguistic patterns of African American children. Her research has examined the social context and social psychological correlates of family formation behaviors and attitudes in twenty-one cities, identifying family features that influence adolescent risk behavior in three African descended populations, and identified cultural features that influence adolescent risk behavior in those populations. She currently conducts research on marriage and family formation patterns in the United States. Throughout her career, she has maintained an active record of service nationally to federal agencies that sponsor research. 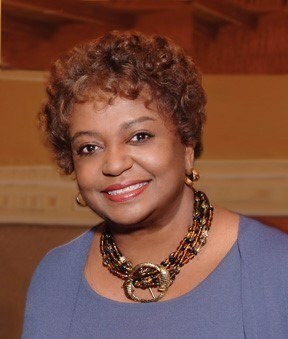 She has served on the Board of Higher Education and Workforce of the National Research Council; the Board of Directors of the Council of Graduate Schools, and chaired its Advisory Committee on Minorities in Graduate Education; and the Board of Directors of the Consortium of Social Science Associations. She has also served as Chair of the Board of Directors of the Graduate Record Examination (GRE); the Advisory Board of the National Security Education Program; and the Board of Deans of the Africa America Institute. President Clinton appointed her to the National Science Board for a six-year term in 1994. The National Science Board provides advice to the President and Congress on issues affecting Science & Technology, and governs the National Science Foundation, our country’s premier agency for the support of basic science. In 1996, she received a Distinguished Service Award from the Caribbean Studies Association and in 1997, Indiana University awarded her its Distinguished Alumni Service Award. Locally, she has been a member of the Board of Directors of the Los Angeles based Golden State Minority Foundation, the Board of Directors of the Venice Family Clinic and received the President’s Achievement Award of the Greater Los Angeles African American Chamber of Commerce in 1996. She is a member of the American Anthropological Association, the Caribbean Studies Association, the Los Angeles Trusteeship, the International Women’s Forum. In her 44-year career at UCLA, she has been extensively involved in campus governance and has served on a wide variety of departmental, campus and university wide committees.